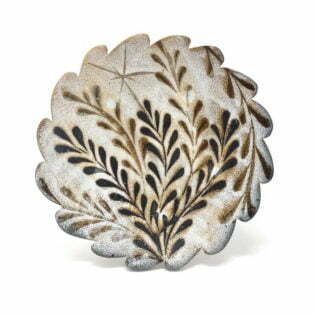 Michael Kline makes utilitarian ceramics with botanical-themed painted and stamped surfaces. 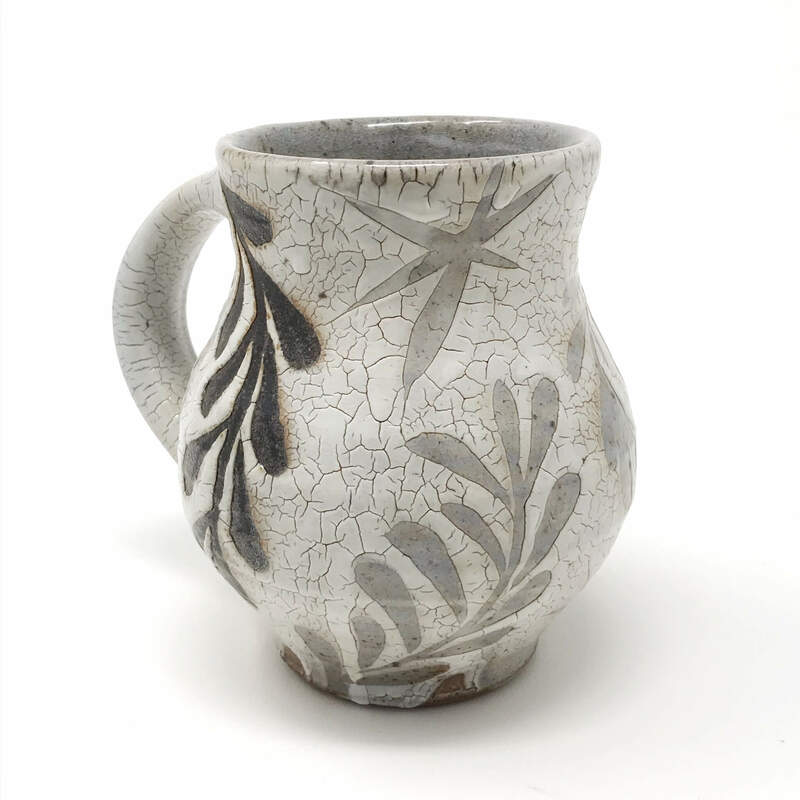 For most of his career, Kline has worked with wood-fired salt-glazed stoneware, usually with organic patterns painted on a thick white slip surface. In 2015 he visited the Freer-Sackler Wing of the Smithsonian and was struck by 15th C. examples of the Korean sanggam technique. 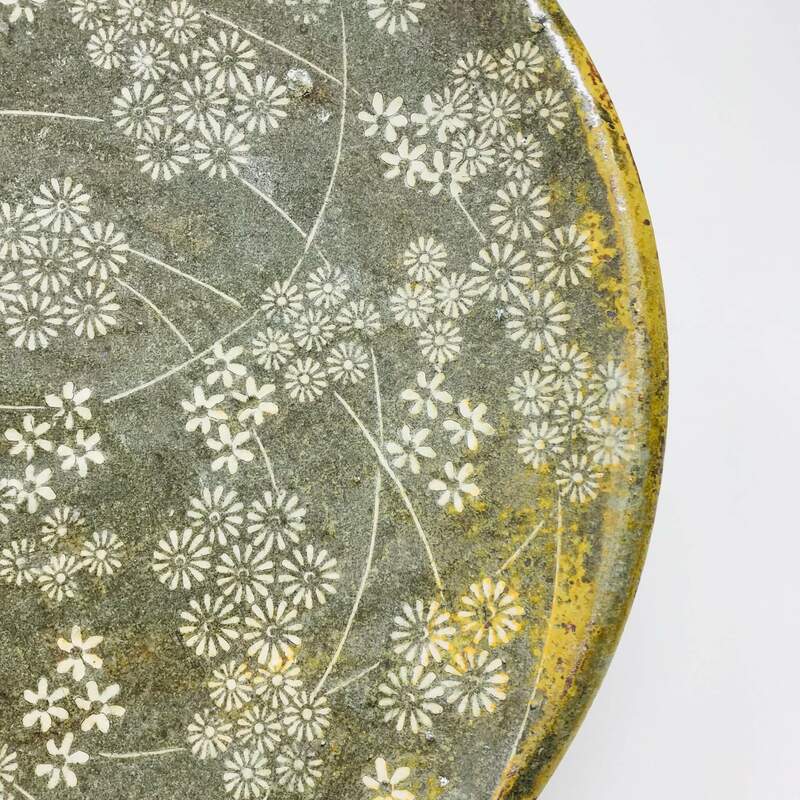 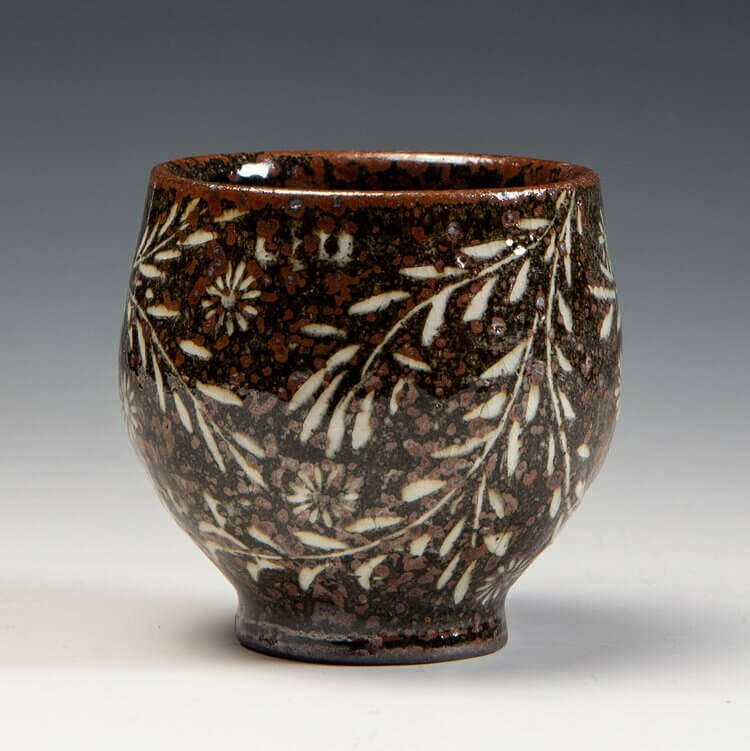 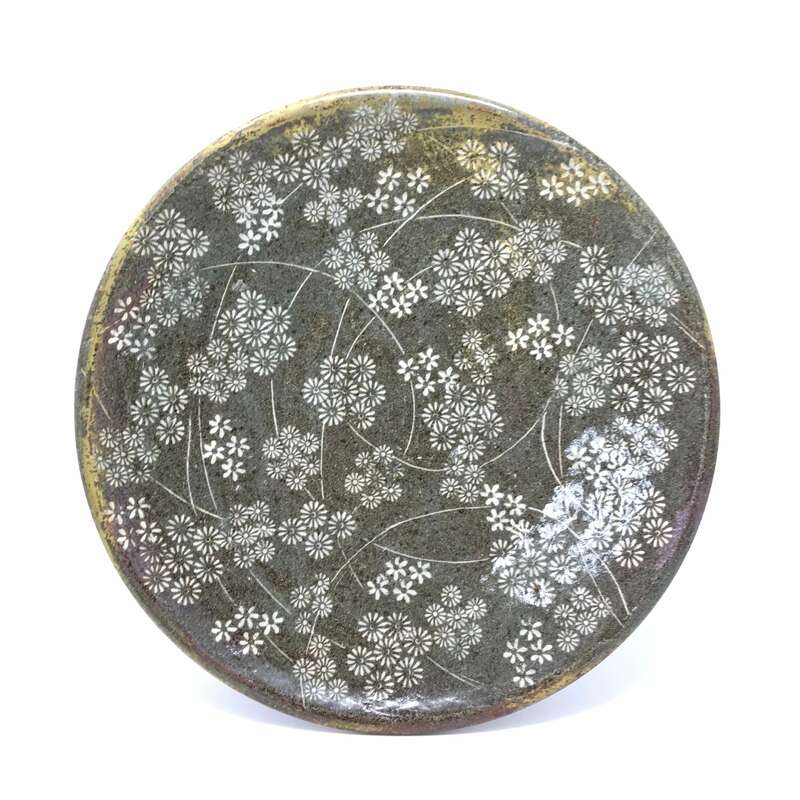 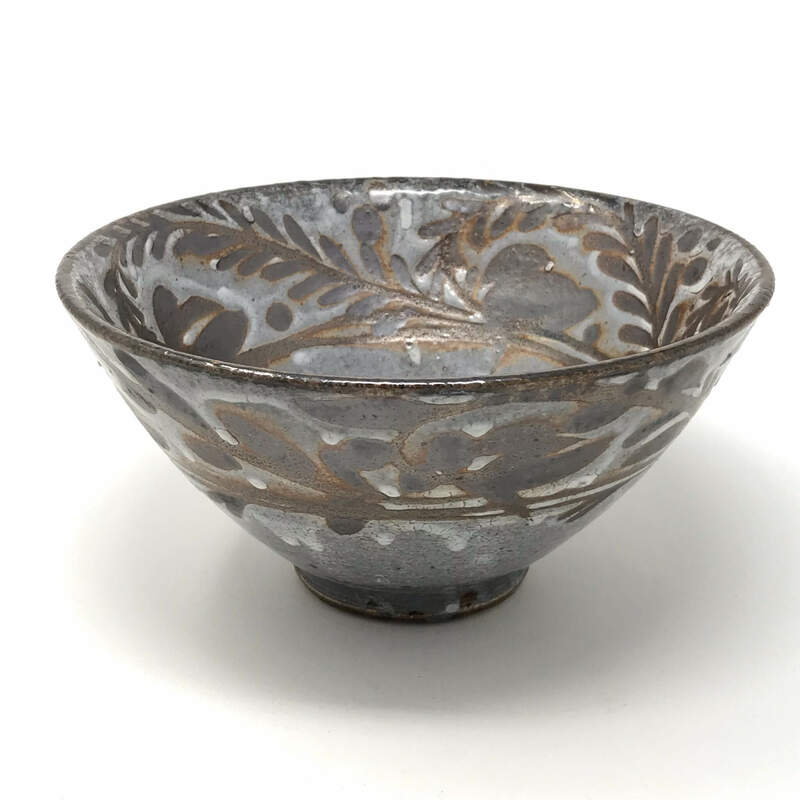 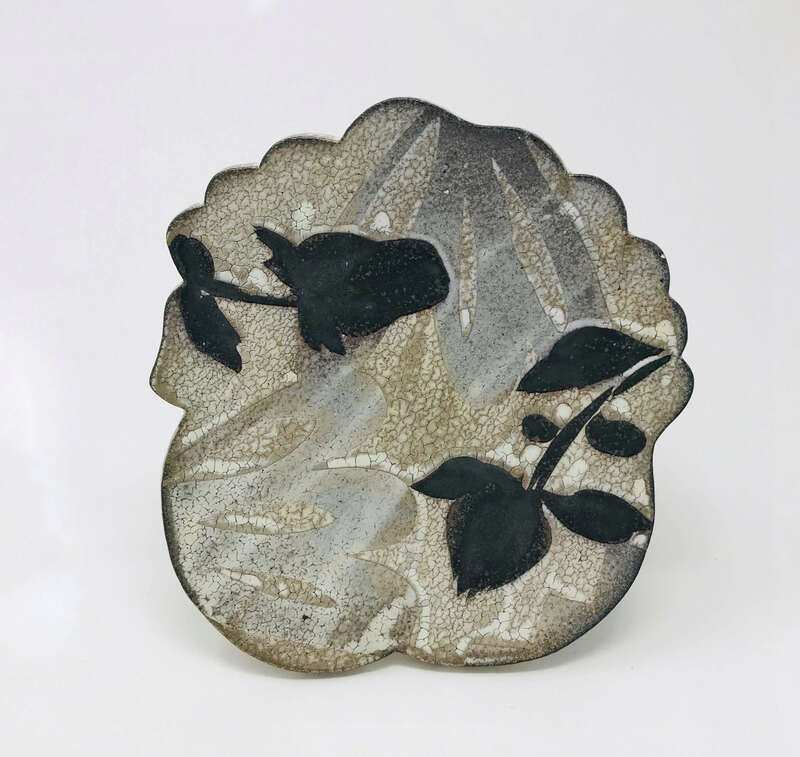 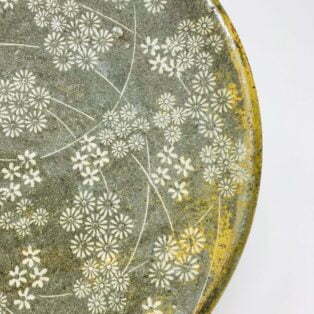 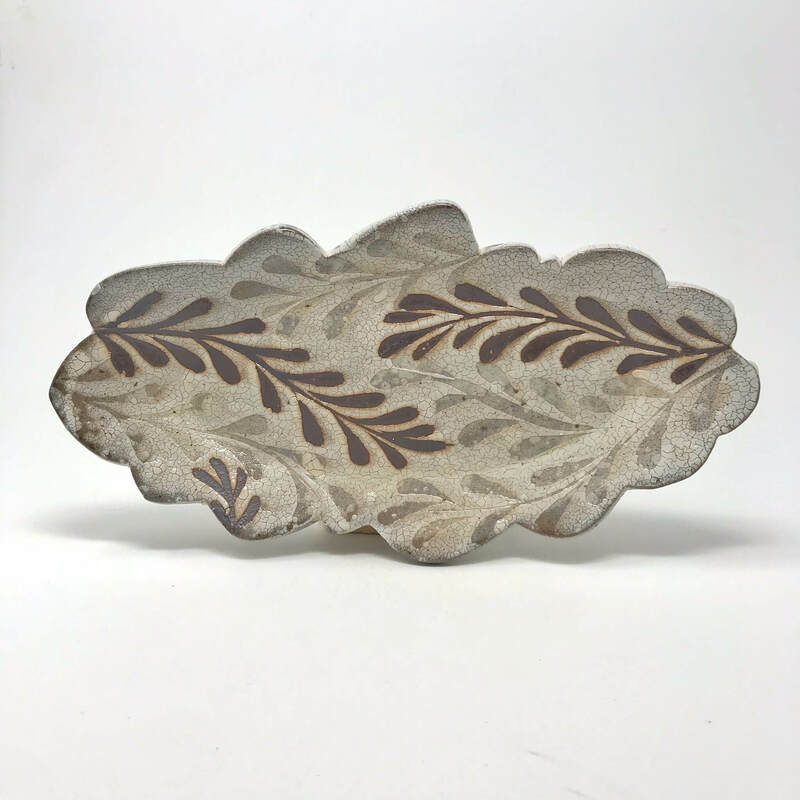 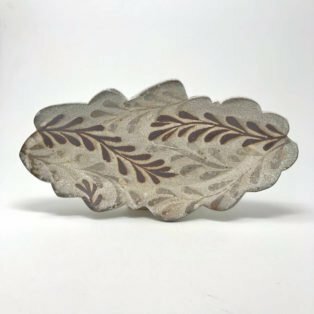 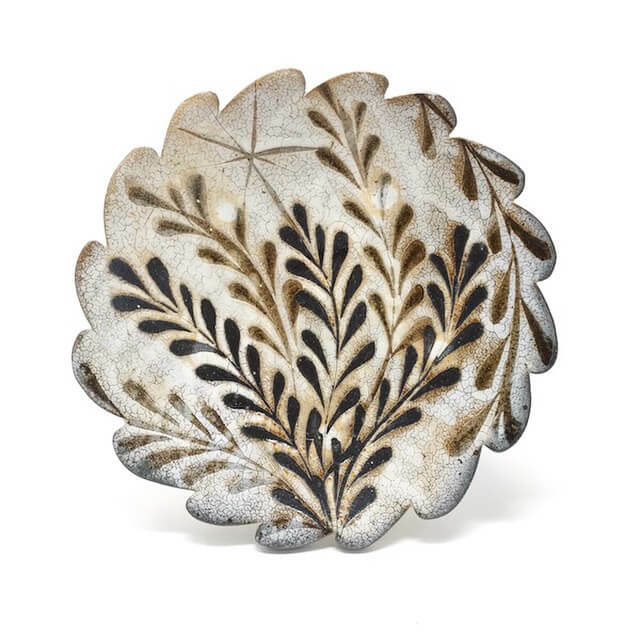 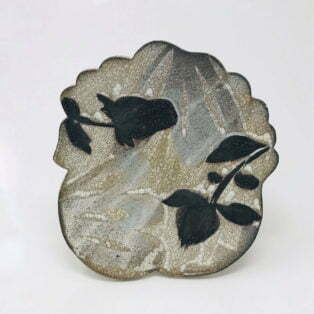 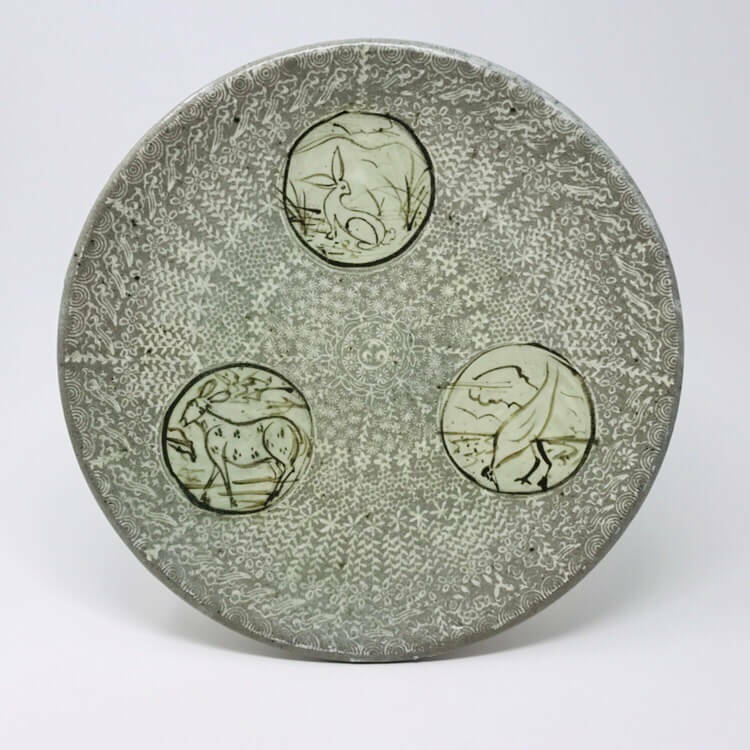 Since then, he has focused on applying this technique to his own work and aesthetic, creating floral stamps and inlaying the impressions with white slip on a dark stoneware base. 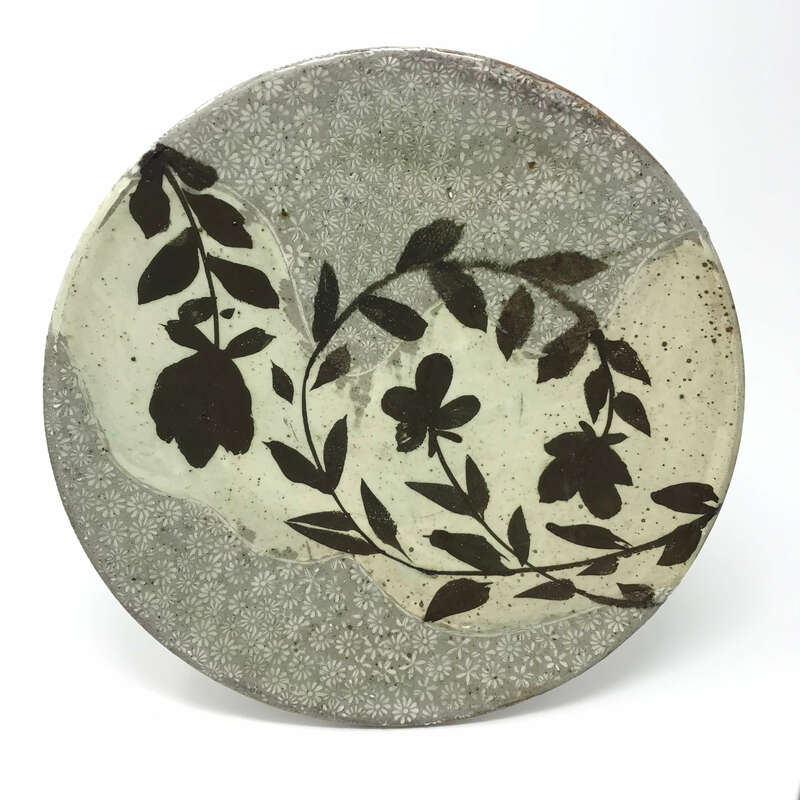 Kline’s work is consistently identifiable in its delicate pattern systems contrasted with robust forms and somewhat coarse materials. 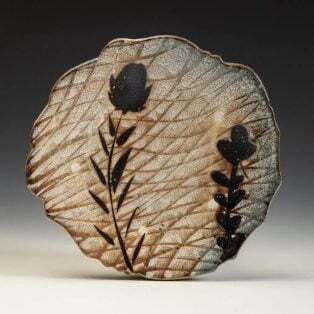 Michael’s work is in the collection of the Islip Art Museum in NY and The Gregg Museum in Raleigh, NC. 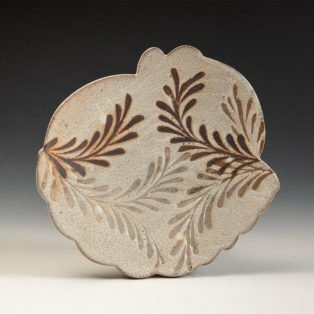 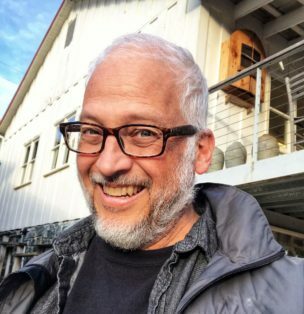 Despite the many tangents that lead me this way and that in the course of making pottery, the ideas, desires and excitement of clay remain very close to those at the very beginning of my career. 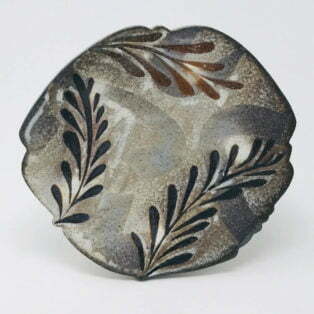 To be sure, the outcome of experience and effort, trial and error has evolved through the years. 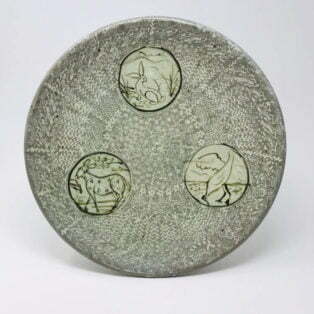 But the process still begins with the simple, ecstatic response to a ball of soft clay. Hopefully, the successful pot elicits a similar response in the context of the home. The mountains of North Carolina provide plenty of inspiration with their wildly exuberant flora, geological variety and the pottery history that sprang from these geological circumstances. 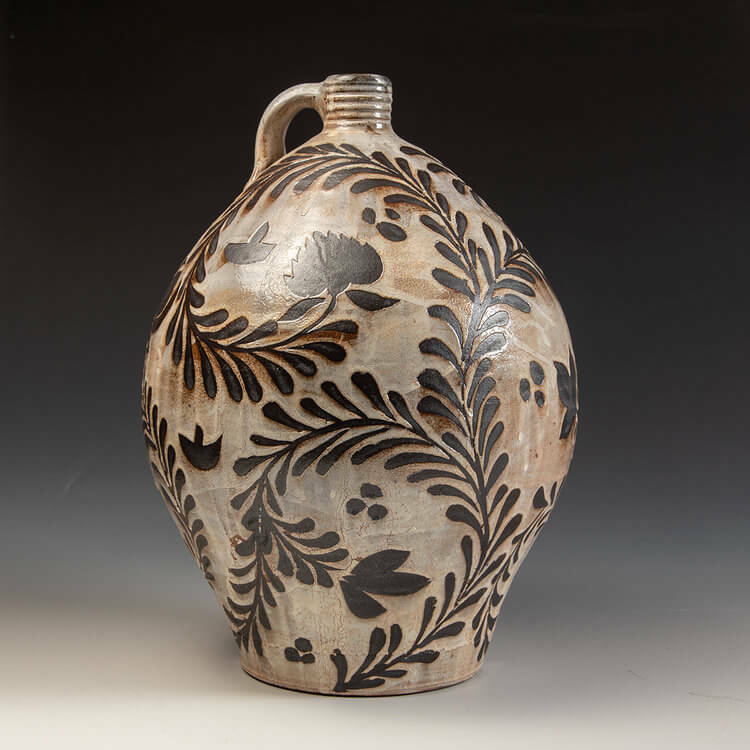 Strong pottery form and patterns evoke the complexity of this natural environment. 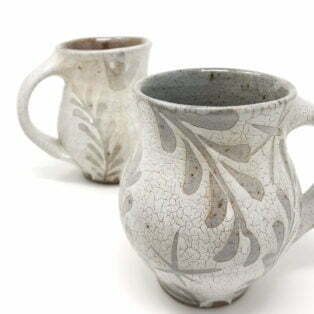 By some combination of optimism and risk, my collaboration with the natural properties of clay and wood fire continues to lead me through this potter’s life, at times exasperating and at others, exhilarating.